Widowed in Memphis during 1932, Cecile Dowd is struggling to provide for her three-year-old daughter. Unwittingly trusting a neighbor puts little Millie Mae into the clutches of Georgia Tann, corrupt Memphis Tennessee Childrens Home Society director suspected of the disappearance of hundreds of children. With the help of a sympathetic lawyer, the search for Millie uncovers a deep level of corruption that threatens their very lives. 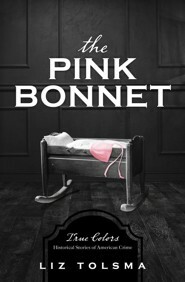 I'm the author/artist and I want to review Pink Bonnet: True Colors: Historical Stories of Romance and American Crime.